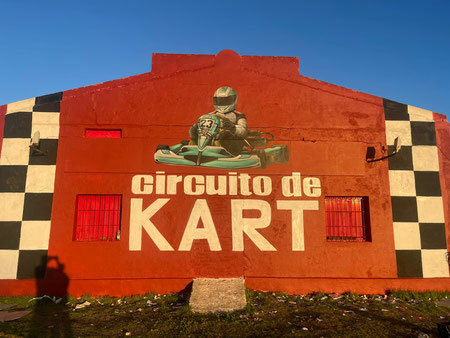 Since 1999 we successfully run our kart-racing-track located between Chiclana de la Frontera and Conil de la Frontera, with direct access to the N340. The hotelcomplexes of Novo Sancti Petri are by car about 5 min. away. Wherever you are in Conil de la Frontera, Vejer de la Frontera or La Barrosa we are only a 10 min. drive away. Our kart track is open throughout the year and is regularly frequented by locals as well as tourists. Safety and secureness is our first priority! The track itself and our 18 karts are regularly checked up, maintained and overhauled every year. In case you have any question or suggestions do not hesitate to contact us. We are pleased to help you!